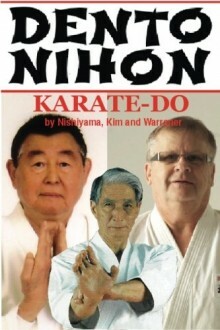 Libro DENTO NIHON KARATE DO, escrito por Hidetaka Nishiyama, Richard Kim y Don Warrener, inglés, 200 páginas, 15 x 23 cm. Filled with technical information never before shared with others. Much of this information came from the famous San Diego Summer Camps where Nishiyama and Kim Sensei's taught for over 30 years every summer. Chapters on Kata and technical performance of and as well kumite and how and why a stance reverse punch and all other basics are performed for maximum effect with minimal effort. There is an entire section on Biomechanics that will teach you how and why all physical movements are used to create speed power and effectiveness.